Strong family engagement is evidenced by parent(s), guardians, faculty and staff working together in a partnership and actively supporting the welfare of the STS students. STS is a Hawaiian school and as a school rooted in both faith and the Aloha spirit, the sense of Ohana is strong and connected to our cultural values. I have been blessed by the many people I have come in contact with my entire career as an educator; lay and religious who have guided me here at St. Theresa School. Through the children I taught, the trusting relationships with teachers and mentors who motivated and inspired me to teach with love, patience and respect all have molded me to be who I am today. I continue to remember those people, celebrate with the present faculty, staff, STS families and parishioners, and I look forward to building a future based on God’s foundation of love. My husband and I have 5 successful children and 9 beautiful grandchildren. Both of us have devoted much of our time and talent to STS and the Co-Cathedral of St. Theresa. As principal, I want everyone to know our mission: The mission of Saint Theresa School is to provide a quality Catholic education rooted in the teachings of Jesus and the education of the whole child: spirit, mind, and body. Knowing this mission will help the vision and direction of our school be transparent and free of adverse and disrespect. My hope this year is to see students, teachers, parents, alumnae, parishioners and volunteers all working together for the same mission. My heartfelt gratitude goes out to all my predecessors: Sisters of St. Joseph Carondelet, many religious Sisters and Clergy, and the lay leaders of St. Theresa School and Co-Cathedral of St. Theresa communities. I have been blessed with many mentors in my life, but my first educators and never forgotten are my parents, Juan and Josephine Castro. Education: I am a product of Catholic education from Holy Family School in Honolulu and the former Star of the Sea High School for Girls. I have earned a Bachelor of Arts in Humanities with an emphasis in Literature from the University of Hawaii, Master of Science in Secondary Education with a focus on Literacy from Kaplan University and a Master of Education in Educational Leadership from Chaminade University. B.S. in Business Administration with a concentration in I.T. I believe that each child is a unique individual. When nurtured with caring love they will feel secure in his/hers surroundings, and will find a stimulating atmosphere in which to grow and mature emotionally, intellectually, physically, and socially. I enjoy playing golf when I can, reading at the beach, snorkeling and cooking. Background information: I have been working at St. Theresa School for almost 12 years. I will continue to be a librarian for Pre-K to 8th grade. I also help out as an aide and a sub teacher. I love working with these young learners! I have 2 children, both of them graduated here at St. Theresa School. My oldest one is in her second year of college at Sacramento State University and the youngest one is in his first year of college at Honolulu Community College. When I’m not working I enjoy doing things with my children, watching movies, going to the beach, playing games and reading books. I look forward to many more years of being here with these brilliant students at St. Theresa School. 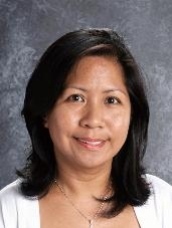 Aloha, I have been known as Ms. Steph in the Administrative Office at Saint Theresa School for the last 8 years since 2009 and have the role duties as the Admissions Clerk – Office Assistant. Should you need any assistance or have any questions, please feel free to stop by the office to say hello and I will gladly be able to help you. I am also grateful that I have that opportunity to meet new families and to help your children. I was raised and grew up in Kalihi Valley and graduated from Farrington High School in 1981. I pursued my education at Cannon’s Business College, Honolulu Hawaii which was also known as Heald. I have been married for 32 years, a mother of three children and a step-son. I am a grandmother of 15 which includes additional lovely step-grandchildren ranging from ages 19 to a new baby grandson who was born the first week of August. My family now resides in Ewa since 1998. I enjoy being with family and friends during my spare time. The best part in life is watching my adult children and grandchildren be together and spending every moment - making memories. I am also blessed to be part of the STS & Co-Cathedral Ohana as I consider them as my extended family. Mahalo for all the powerful prayers that is bestowed upon my family and for everything that you do . 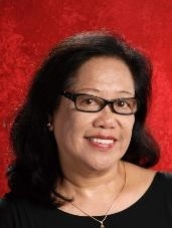 Miss Collins was born in the Philippines and raised in Hawaii. She has one younger sister and 2 dogs, Simba & Boo-Radley. She grew up in Kaimuki and graduated from Chaminade University. This is her 12th year as an Educator. Miss Collins has had a love of teaching her entire life. She knew she wanted to become a teacher when she was in the First Grade. She had an amazing teacher, Mrs. Chiogioji, who continued to inspire her as she grew up. Miss Collins had the opportunity to work with Mrs. Chiogioji while she was attending Chaminade University studying Elementary Education. During her last year of college, Miss Collins fulfilled her Student Teaching in the Kindergarten Classroom here at Saint Theresa School. She met many wonderful and inspiring teachers and administrators. 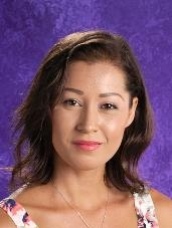 Miss Collins spent 8 years working as a Kindergarten Teacher at Cathedral Catholic Academy in Nu’uanu. 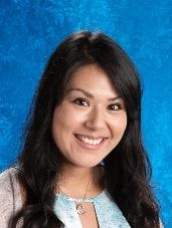 She was a part of the school’s Leadership Team and the head of several school committees including yearbook advisor, Junior High Student Council Advisor, and the Social Committee. In October of 2017, she welcomed her first child, Olivia James. She enjoys her new role as a mommy and every day is a new adventure and an opportunity to learn. Miss Collins feels very blessed to be a part of Saint Theresa School’s Preschool and is looking forward to meeting her new little ones and to work hand in hand with their families. We welcome Miss Wendy to the Saint Theresa School family as our Preschool Teacher’s Aide. Miss Wendy is a Mommy to Tyler who is attending the Third Grade here at Saint Theresa School and has a baby girl named Isabella who was born on January 23, 2018. 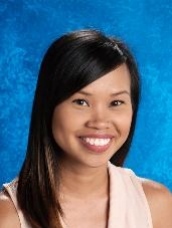 Before coming to STS she was volunteering/working for over a year and a half as a Preschool Teacher’s Assistant/Substitute Preschool Teacher’s Aide at Makiki Christian Church Preschool where both she and Tyler graduated from. Miss Wendy received her Certificate of Competence and has satisfactorily completed 9 credit hours in Early Childhood Education as well as received her Career Access and Navigation of Early Childhood Systems Registry (CANOES) Certificate. 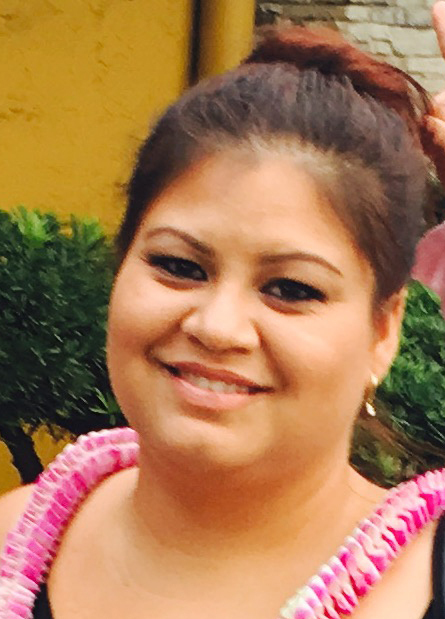 She is qualified and certified as an Early Childhood Practitioner. 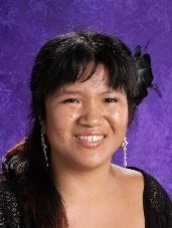 During her free time, Miss Wendy loves going shopping, movies, singing karaoke, playing her piano by ear, and loves spending time with her family. Miss Wendy is looking forward to having a fun memorable school year this year! My name is Mrs. Herndon. I was born and raised in Madrid, Spain and like the students at STS, I attended a Catholic School. I have wonderful memories of the beautiful missionary nuns who were great faith examples for me and gave me a love for learning. My wonderful husband was a US army soldier and as part of the military we have traveled all over the world. I have five beautiful children all grown up. One of my biggest passions is reading and collecting books in English, Spanish or French. I also love the arts. I love drawing and painting using different media and knitting and crocheting while watching TV. I have earned a Bachelor’s Degree in World Languages with a concentration in Spanish and a M.A in Education grades K through 12. Hawaii will always have a special place in my heart. On and off I have been a part of the Hawaiian Catholic school system for over seventeen years. Once again I have the privilege to be teaching at St. Theresa Catholic School. A truly great and blessed place. This is my 7th year as a kindergarten aide at St. Theresa. My first kindergarten class is entering the 7th grade this year. I enjoy working in kindergarten because the children are so open to learning. They are eager, excited and love learning about new things. One of their favorite times is when we read bible stories especially the ones from the Old Testament. What I admire about the teachers and staff at STS over the years is that they instill the love of God and Jesus in the hearts of our students. This love transpired STS into a loving and compassionate place – students who attend St. Theresa form lifelong relationships with their classmates, friends and teachers. It is so gratifying when students return to St. Theresa to visit. I have been a parishioner at St. Theresa since I was little. In fact, my roots at St. Theresa Parish go back to my younger years as I attended St. Theresa School from kindergarten through seventh grade. I have fond memories of my classmates and the Sisters of St. Joseph. Even to this day, I have kept in touch with my classmates and even some of the Sisters of St. Joseph. Prior to working at St. Theresa School, I worked seven years in the Parish office at the Co-Cathedral of St. Theresa. I was born and raised in Wailuku, Maui. There, I attended St. Anthony Elementary, Iao School, and Baldwin High School. On Oahu I attended Chaminade University and graduated from the University of Hawaii with a Bachelor of Education degree with an academic major in mathematics. I received the Catechist Certificates from the Diocese of Honolulu. My educational experience has included teaching pre-school, kindergarten, and first and third grades. My interests include music, especially guiding the little ones to sing on key and in harmony; exploring the various media in art; and immersing my students in children’s literature. Using technology as a tool to enhance my lessons is also a priority for me. My philosophy of teaching as an educator in a Catholic School is nurturing the whole child--mentally, physically, emotionally, socially, and especially spiritually, with a strong emphasis on a prayerful and faith-filled life. It is important to me that my students find JOY IN LEARNING and explore the world around them with enthusiasm and a sense of wonder. Aloha STS ʻohana! I am thrilled to be a part of this wonderful educational community. This is my first year teaching at STS and also my first year teaching second grade. I previously taught at Saint Philomena Early Learning Center in Salt Lake. I am working towards my master’s degree through Chaminade University and will be graduating in the spring of 2019. I received my bachelors of science degree in family resources from U.H Mānoa. In my free time I enjoy doing yoga, hiking, and dancing hula. I am very excited to take on challenges with the second graders this year and to be a positive impact during thier time here at STS. Aloha! My name is Alyssa Manipon. I attended St. Joseph School from K-8 and Sacred Hearts Academy for high school. I graduated from the University of Hawaii at Manoa with a Bachelor's degree in Elementary Education and a minor in Music Education. I try my best to bring in different cultures into the classroom through music, dance, and videos. I joined the STS ohana on January 2018 and was introduced to my first official classroom. I love teaching at here because of the familial environment and support from all the teachers. When I have free time, I enjoy swimming at the beach, traveling, spending time with my family, and appreciating the scenery everywhere. I am excited to continue teaching the students of St. Theresa School and to teach them that anyone at any age can continue learning, even me! And to always include Jesus in our everyday life. This will be my first year at Saint Theresa School. I am very blessed to become a part of the Saint Theresa Ohana. Saint Theresa has been my parish for many, many years. In my earlier years, I was very active in the youth ministry/ choir at Saint Theresa’s Parish. I started my career in banking for 10 years. After 10 years of banking I changed careers and decided to focus on the medical field. I was trained in the field of Ophthalmology and attended the American Ophthalmology Academy in San Francisco, California for classes. As an ophthalmic nurse and eventually a unit coordinator, I spent 15 years working with doctors and patients. I was asked by the Dominican Sisters of the Most Holy Rosary, to become their administrative assistant, health room coordinator and to teach health to their students. 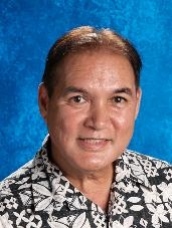 I accepted the position and worked at the school under the Hawaii Catholic Schools for 20 years. 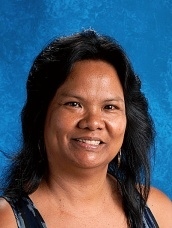 During my twenty years of working with the Dominican nuns and students I was their choir director for two choirs (Keiki choir (grs K-3) & youth choir (grs 4-8) for 18 years, and their athletic director for 17 years. I am still very active with the CSL (sports program) and a CSL board member. I love working with students and young adults. My position at STS will be assisting grades 1 & 2 as their teacher’s aide and teaching health for grades K-5. I look forward to meeting all the STS families and their children. My name is Lauren Sayapheth and I am the 3rd grade teacher at St. Theresa School. This is my sixth year teaching at STS. I grew up in Los Angeles, California being one of four girls in my family. I moved to Hawaii in 2012 where I met my husband. We have one dog and a one year old boy. I completed both my undergraduate and graduate studies at the University of La Verne located in Southern California. I enjoy a variety of activities such as reading, watching movies, hiking, playing soccer, and dancing hula. The thought that children are our future keeps my passion for teaching burning. I’m always looking for new ways to ignite students’ engagement, interests, and curiosities to help them develop the basic skills needed for a successful life. I hope to inspire my students to always want to be better and to help others. I choose to lead by example, which has given me the drive to always be my best. ​Working here at STS has been a great experience. We’re such a small, yet strong group of individuals who come together bringing different talents to help our school be the best it can. Being a part of the STS family has helped me strengthen my faith and pursue professional development opportunities to excel in my career in teaching our future. 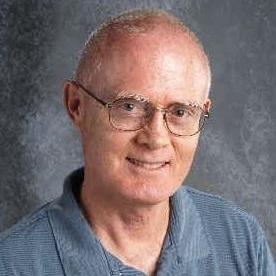 Hi this John Mussack, the fifth-grade teacher, received his teaching credentials at the California State University at Northridge, in the areas of Elementary Education and Special Education. He also has a degree in English as a Second Language. He has taught in these areas, with some intervals, for a total of about 30 years, in addition to spending time in the U.S. Army. He has lived in Hawaii since 1990. His philosophy is to believe in his students’ God-given instincts to learn, while trying to make it easier for them, by reducing stress and accommodating their learning styles. I was born and raised in North Chicago, IL and I attended Catholic School. 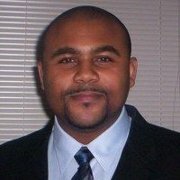 I received my computer training in the United States Navy and continued into my training as a Special Effects Artist and into my Masters Degree (MLIS). This is my 14th year teaching but my first at St Theresa. I love technology and I and love sharing my interest and knowledge with my students. I am an avid video gamer and comic book collector and I also enjoy film. I am looking forward to what the school year holds, and if you have any questions or I can be of any assistance please let me know. I finished my college degree in Manila, Philippines, and my first teaching experience was at Sacred Hearts Academy in La Loma, Manila. My family moved to Hawaii in 1983 and I have been a teacher at STS middle school for 12 years. I love to teach and I believe that teaching and learning happens at the same time. The teacher teaches to the child but at the same time, he/she also learns something from the child. I love to shop and to watch my favorite soap operas. I enjoy teaching math and science. I believe that Catholic education develops the mind, body and most importantly the soul and inner being of the child. BEd in Secondary Education Specializing in General Science from University of Hawaii Manoa. Aloha! 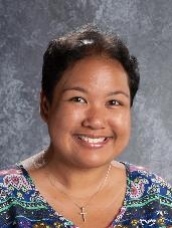 I am Marylee Mafua and this is my first year teaching Middle School Science at St.Theresa School. I am excited to teach the wonderful students of St. Theresa School who are eager to learn new things. I was raised in Hau’ula and Kahuku. I now reside in Kaneohe with my husband, two daughters and three dogs. When I am not working I enjoy spending time with my family, reading, picnicking at the beach, trying new restaurants or lounging at home. I believe that our students are the future and we as educators are responsible for providing them the tools to be valuable assets in the community. Learning never stops, you learn something new everyday. 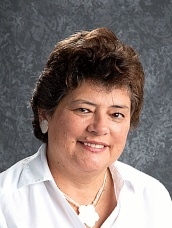 Background Information: My name is Carolyn Buted and I teach Study Skills, Health, and School Counselor. This will be my sixth year working at Saint Theresa School. I was born and raised on the beautiful island of Oahu where I reside in Kalihi Valley. My interest includes spending time with my loved ones, going on food adventures, arts & crafts, traveling, and staying active outdoors. Being here at St. Theresa School has been a blessing and I look forward to working with the children in hope to provide a loving environment where students can build a foundation for life-long learning socially, emotionally, and cognitively. 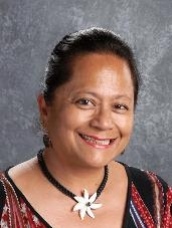 Faith Leasiolagi was born and raised in American Samoa. She is the proud daughter of Deacon Francis and Alofa Leasiolagi who are currently serving in the Co-Cathedral of St. Theresa Parish. She is the youngest of 6 and an aunt to 3 nieces and 10 nephews. She attended Catholic Schools in the Diocese of Pago Pago which were influenced by the Little Sisters of the Poor, Marist Brothers, and the Missionary Sisters of the Society of Mary. In 2007, Faith and her family moved to Hawaii in pursuit of better medical needs and attention. In 2011, she graduated from Waipahu High School and was accepted at Chaminade University of Honolulu in which she graduated in Dec. 2015 with a Bachelor of Arts in Historical and Political Studies. She is a member of the La'a Kea Marianist Lay Community, which is the first formally educated student Marianist lay community at Chaminade University. She loves to read and write and hopes her students will develop a love for reading and writing too. She looks forward to working with St. Theresa School this academic year! Aloha! 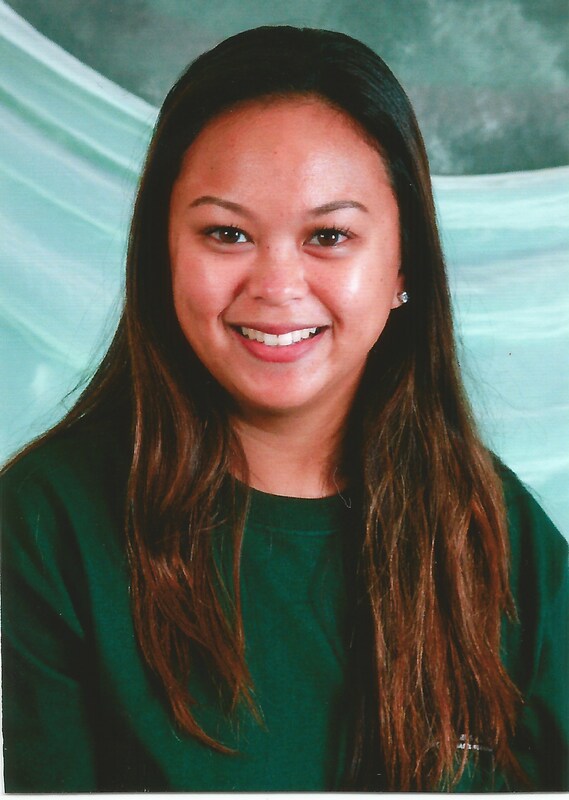 I’m Mrs. Gabriel your child’s Physical Education instructor. I acquired my BA in Recreation from Long Beach State University. I’m also certified International Baccalaureate Instructor. 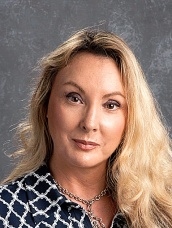 I have been in education for 15 years as a Substitute teacher, Summer School teacher, Explorations teacher, Scholarship teacher, Hula teacher, Academic Counselor and Physical Education teacher. I’ve coached swimming and track. A definition of who I am, derives from my family. I’ve been married for 25 years and we have been blessed with two incredible children who now attend college in California and the United Kingdom. My family plays a considerable importance in my hobbies; we enjoy sports, paddle boarding, kayaking, scuba diving, traveling to experience other cultures, and Polynesian dancing together as a family. I’m passionate about instructing in a way that brings learning life lessons together with fun through games and activities. My goal for my students in my class is to not to only gain the education they deserve but also encourage self confidence. I am looking forward to being apart of your child’s success. Background information: I will do my very best to be that advocate of music and drama for your child. 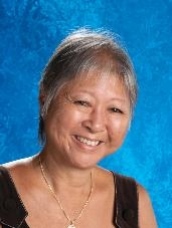 With my years of experience working in various church parishes and schools in Hawaii, and starting off my third year of teaching here at STS and nine years as the Assistant Director of Liturgy at the parish level of the Co-Cathedral of Saint Theresa Church, I am willing and able to help our students excel in diverse aspects of music and drama. I was very fortunate to have so many great mentors throughout the years, and thus my mission in life is to be able to pass on the same faith and knowledge to the children and youth of the future. I truly believe in lifelong learning and encourage them to learn something new every day. I have my Associates in Arts degree in Liberal Arts and will continue on to Chaminade University in January 2014. And God’s work for me doesn’t stop there! I am also a volunteer and advocate for the American Cancer Society, as a counselor for Ho’oulu Me Ka Ikai’ka (Growing with Strength), a camp for teens/young adults that have been touched with cancer, as a cancer patient and/or cancer survivor. I am fortunate to say that I am a cancer survivor (12 years cancer-free and counting!!). As an educator/mentor/survivor, I believe that it’s important to know where you come from because it will set you up for your future endeavors. I am proud to be an alumna of Saint Theresa School (Class of ’96)! I am very privileged to not only be a product of this wonderful school but more so to work with such wonderful teachers and an exciting student body! I am so happy to be here and share my gifts and knowledge of music and drama with your children. I look forward to a great year of learning, loving, and living music & drama!